Imagine If You Had The Freedom To Travel The World Forever? Are you grinding it out everyday in your business? Does everyday feel like a photocopy of the day before. Get up, go to work, come home, go to sleep, get up, go to work, come home, go to sleep etc etc etc for eternity! Imagine if you could transform your business so you are not chained to it? Imagine if you could potentially coach/advise/train hundreds or even thousands of clients every month on Auto-pilot. Imagine if you did not have to physically go out and see or service any of those clients every again (unless you wanted to), while still giving them exceptional results and value. 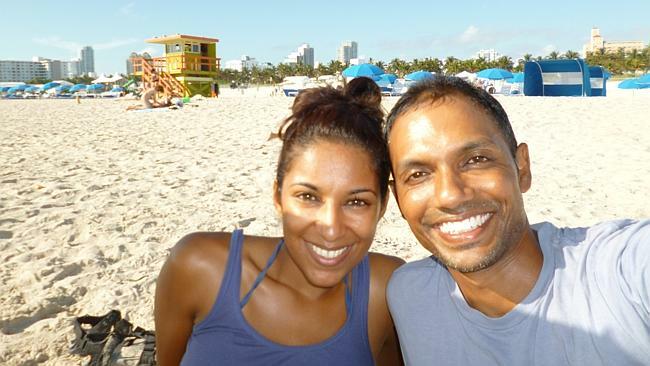 Janak and Nalisha are previous ‘small fitness business owners,’ now turned ‘Roving Lifestyle Entrepreneurs.’ They decided to take their passion for business, health & fitness and transform how they worked and lived. After reading Tim Ferriss’s run-a-way bestseller, “The Four Hour Work Week” a few years ago (2011), they put all their belongings into storage, left their home country New Zealand with a one-way ticket to the US….and almost 4 yearslater are still traveling throughout the world. 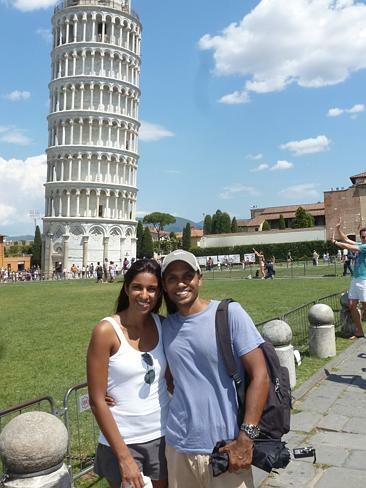 “Basically we went on holiday in August 2011 and are still traveling! We are constantly on the move, ideally waking up to a new view every few weeks. 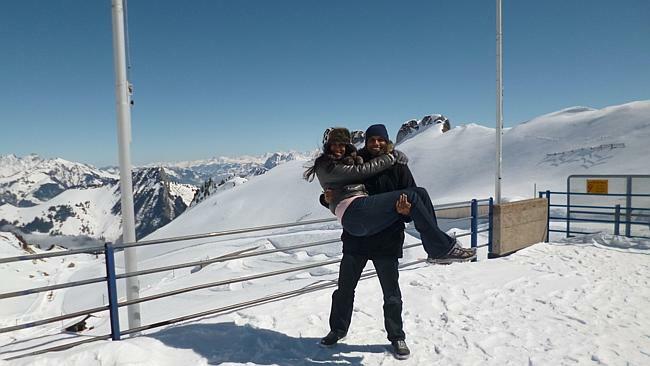 My husband Janak and I (Nalisha) left for a US holiday, which was only meant to last a few months, but we then decided to keep on traveling and ‘wake up to a new view’ every few weeks. We have been traveling for almost 4 years now, with no intention of stopping any time soon. including of California, Arizona, Nevada, Louisiana, Mississippi, Texas, Florida, New York, various cities in Spain (Valencia, Barcelona, Madrid), France (French Riviera, Paris), Italy (too many cities to list! ), Greece (Santorini Island, Rhodes Island, Athens), Turkey (Istanbul), UK (London, Birmingham), Belgium (Brussels, Gent, Bruges), Germany (Berlin, Munich), Netherlands (Amsterdam) and Hungary (Budapest), Prague, Helsinki, Stockholm, Denmark…just to name a few! At the time of writing this, we are currently living in Sicily, Italy. This world adventure has really opened our eyes up to many different cultures and ways of the world, so we refuse to ‘go home’ and look out the window at the same view, living a Photocopy Life. Unlike a backpacker, we rent a whole, private apartment in each city and integrate ourselves into our new destination. 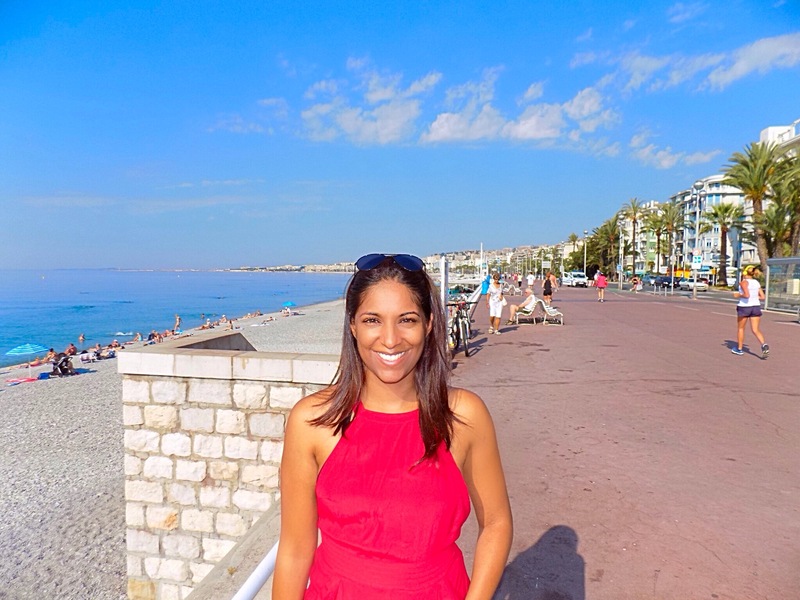 We usually live in each place for a few weeks, sometimes a few months at a time, all while working from our apartment, cooking and going grocery shopping like the locals! How we fund our world travel…. Our adventures are funded 100% by our online businesses. We have been in the internet-marketing field for over 9 years now. 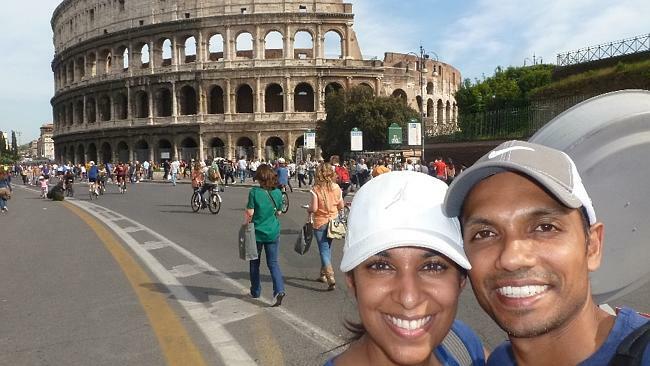 After successfully building up a mobile personal training company in New Zealand, Janak and I made the switch to offering our health and fitness advice via the internet only. Now sold in 10-12 countries, profits from our online programs and books fund our travels and run near-automatically. Based on the success of our nomadic lifestyle and demand from people to ‘know how it’s done’, we also offer a 12 week program called ‘How to Escape the Photocopy Life’, which helps people turn their knowledge into a digital business that is specifically set up to run near-automatically, leaving them free to travel the world also. Literally working from just our laptops, we can set up our businesses anywhere in the world as long as there is internet….and we love helping others to do the same! In late 2010, Janak and I were starting to feel restless. 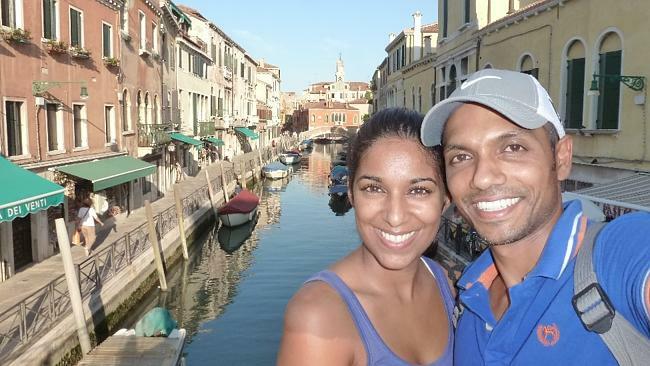 Since we got together at age 17 (Nalisha) and 20 (Janak), we had always had big dreams for ourselves as a couple. Like most people, we wanted to travel the world, eat at great places, live in a beautiful home and be financially secure. I started a health & fitness business offering mobile personal training services to help woman lose weight in 2004 and my husband was a full time engineer, and feeling quite frustrated in his job after being in the industry for 10 years. 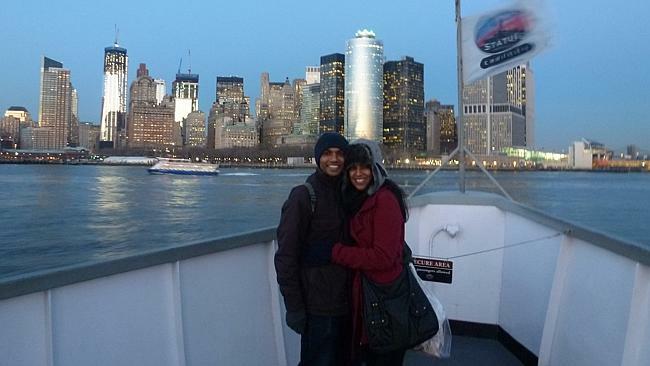 We got married in 2005 and a few months before we got married, Janak quit his job! 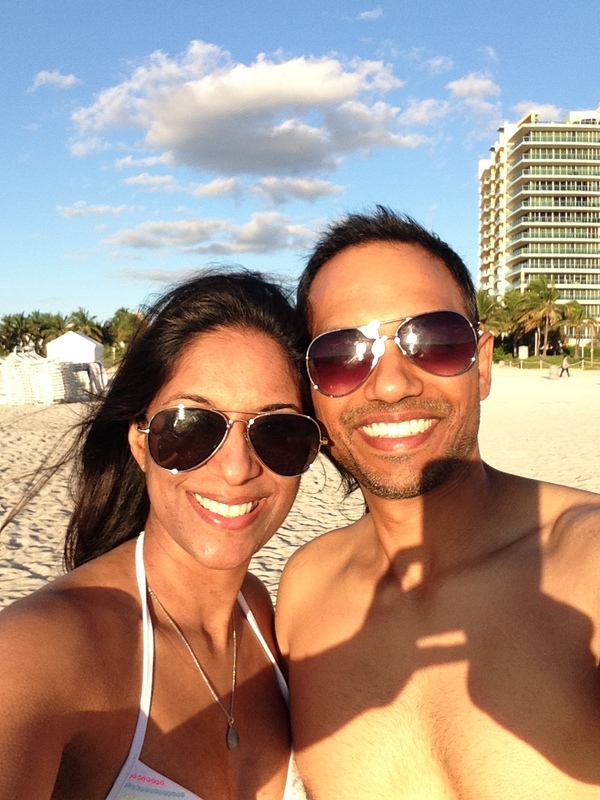 Janak had wanted a new challenge so I convinced him to quit his job so we could build the business together. We initially ran two separate businesses for the first 2 years of our marriage. He tried his hand at a couple of businesses while I was growing my personal training business. It made sense for him to come on board my business and for us to grow it together as it really took off and I needed the help. By 2008, we had over 10 personal trainers who worked for us around NZ training our clients. However, we eventually found that some of our hired trainers were undercutting us, stealing our clients and our intellectual property and the business became a big headache and we felt we would never reach our dreams of ever traveling and being free of day-to-day hassles. I then discovered a book called “The 4 Hour Work Week” by Timothy Ferris in 2007. I read it over twice and then gave it to my husband to read! The concepts in the book literally changed our way of thinking about business and life overnight. The author talked about living life now and not waiting until 65. He talked about using the internet to sell digital products and services to fund a mobile lifestyle and travel the world. In 1 year, we pretty much let all our staff go, let the lease run out on our office space and started working from home again. We turned the programs we had created for teaching clients how to lose weight into a digitized format. Using Technology and the internet, we found that we could get clients the same level of results without having a physical personal trainer…, which was a true game changer for us. We could now offer our weight loss/ fitness programs all over the world through the internet and offer clients a more comprehensive program…and better results. In 2010, we even left home to live in the US for 3 months, which gave us a taste of living overseas while STILL running our business. We still clocked at least 40-50 hours a week working on our business. We weren’t exactly free time-wise, but the trip set the wheels in motion for our upcoming world trip. 18 months after returning home from our 3 month stint in the US, now Aug 2011, we packed all our belongings into storage, rented out our house and left for the United States (and a one way ticket! ), with just 2 laptops to run our business! We had gotten bored of being in NZ now that we had had the taste of working and living abroad. Over the 18 months at home, we had refined all our program and marketing systems to they ran virtually automatically. It was revolutionary! We tested and trialed many methods, finally formulating the perfect program system to deliver our clients results AND scaling the business in such a way that we were training literally thousands of people world-wide. It was time to leave. We decided to take the plunge with an open ticket and see where it took us…. So here we are almost 4 years later, traveling and exploring the world, all whilst working and building up our company, which runs near-automatically. Being the entrepreneurs that we are, we love to stay busy and keep working on learning more in our industry, marketing and personal development. We are at point where we now want to help thousands of people like yourself achieve this goal of Escaping a Photocopy Life and being able to work and live anywhere! Grab A FREE Copy(just pay s & h) of my Hard Copy Book ‘How to Escape the Photocopy Life’, and get it delivered straight to your door!